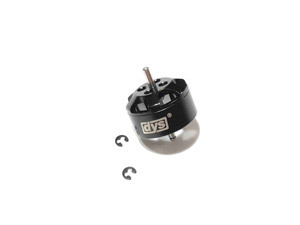 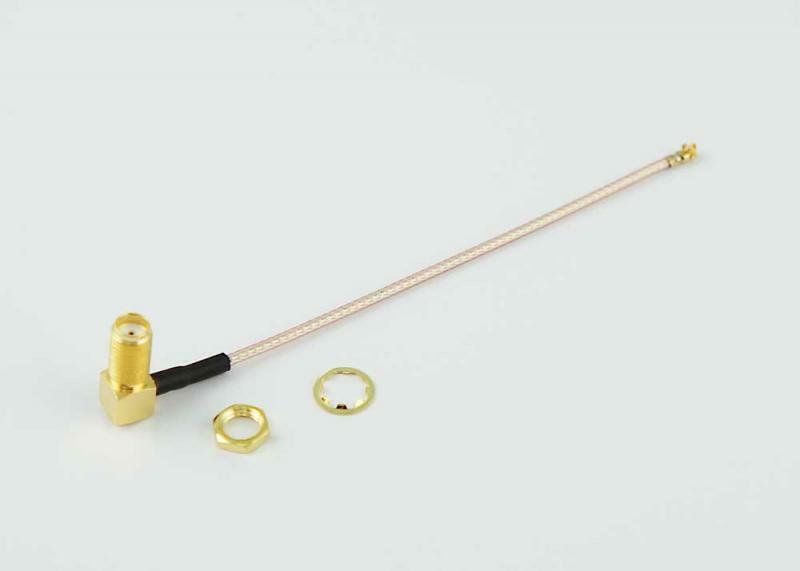 The DYS BE1104 7500kv motor is a motor with massive thrust capabilities for it's micro size! 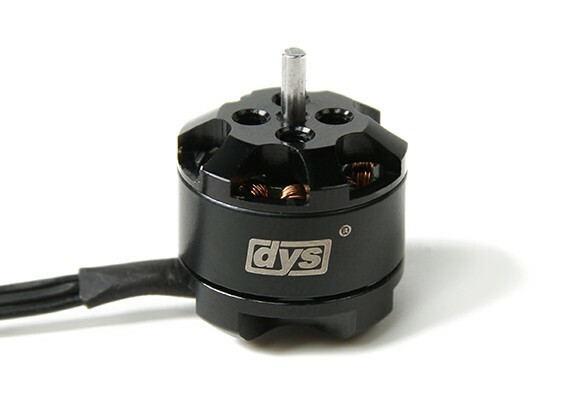 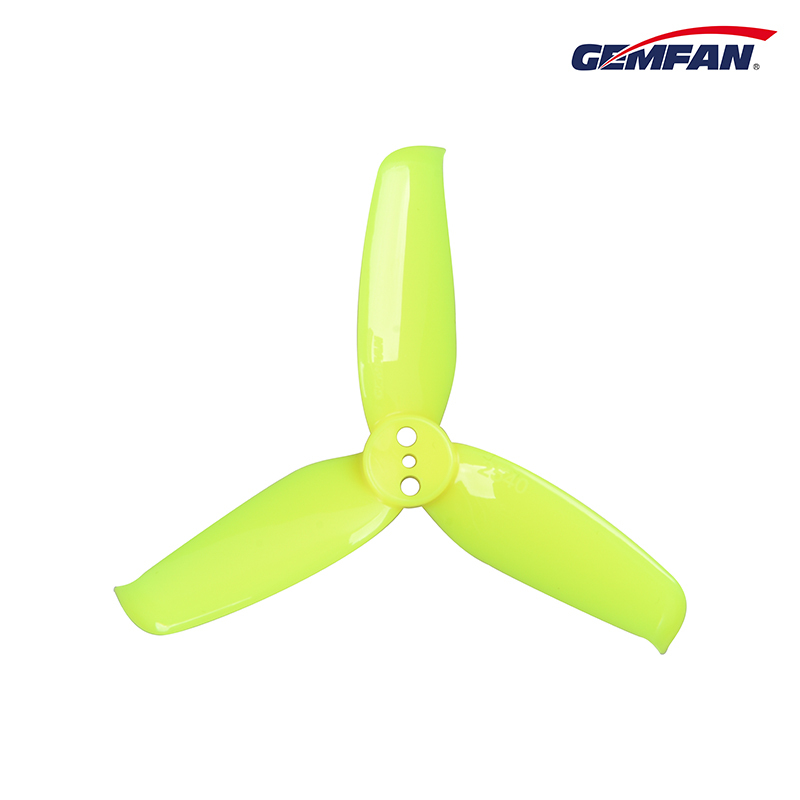 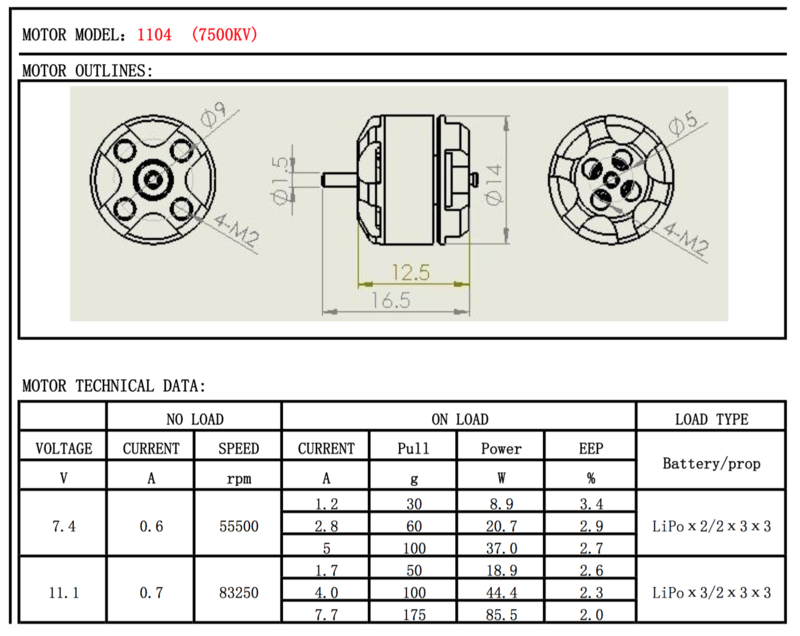 This motors is perfect for 2S-3S 2"-3" light weight builds. 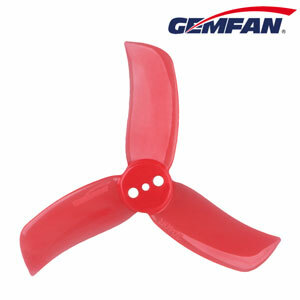 With a 3020 prop on 3S you get a whopping 220g of thrust! 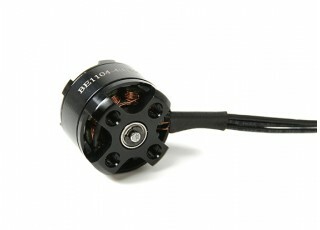 The prop mount shaft is the motor shaft at 1.5mm and props are held on by M2 bolts.